It is a trailer for all six episodes of the new TV series Dodo Heroes, coming out in March on Animal Planet. We aren't surprised she found her way into the hearts of Nomadica Film Producers, John Collins and Emily Hyman. 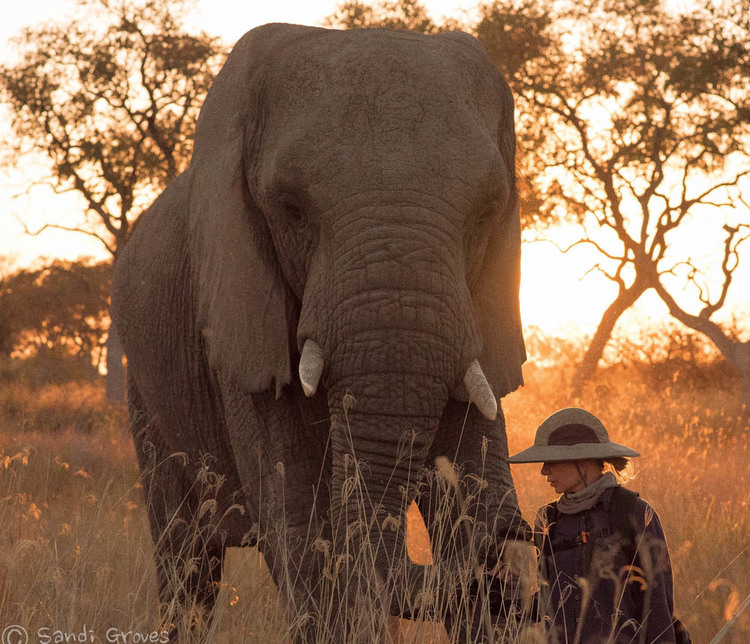 As they rolled the cameras on Jabu, Morula could be found socialisng with the film crew, laying her trunk on their shoulders and leaning in to fill up everyone's love tanks and especially her own. Morula is a star in everyone's hearts! Morula has a special story and we should share it more often. She was orphaned, as a two year old, from a culling operation in Gonarezhou Park in Zimbabwe 39 years ago. A family adopted Morula along with a young male elephant they named Zorba and managed them both in a laissez-faire private landhold scenario. They were basically kept as family pets. Zorba enjoyed raiding the family's vegetable crop, and unfortunately a farm helper was killed trying to get Zorba out of the vegetable garden. The family members became very afraid of both of them, and decided to tether them. Occasionally some would feel brave enough to toss them some hay. They eventually sold the malnourished pair with the help of an animal dealer to a South African park near Pretoria called Borakalalo. Morula and Zorba roamed 30,000 hectares freely, doing all things elephants love and it seemed like the perfect happy ending. But then they started getting into a little trouble, raiding the cooler boxes of local fishermen as a past-time. There are many stories of the two drinking campers' beers, eating their salads and spitting avocado pits back in the cooler as thanks. Unfortunately Zorba progressed to killing 7 white rhino, and also flipping over a vehicle. The park authority decided enough was enough and that it was time to get rid of them by selling them off as a hunt. However, one of the rangers felt pity for Morula, who was not responsible for any of the rhinocides, and, thankfully, stepped up to have her saved. He had spent time with Morula nursing her back to health at one point and knew what a sweetheart she is and that she deserved a positive outcome. He was informed about Doug and Sandi, their respected skills with orphans Thembi and Jabu, and asked if they would adopt the 17 year old Morula. The rest is history! Morula was a traumatized elephant, like most orphans. But with the Groves' soft approach, based on love, respect and solid family herd relations - she blossomed. Her confidence increases all the time and she conducts herself like a true matriarch in the herd. She is an extremely sensitive, calm, sweet and a somewhat needy elephant, always looking for the love she missed growing up but now receives in abundance. When I asked Doug today what he loved most about her, he said "She is a magnificent matriarch: all sweetness and spice". No doubt, this film will lay testiment to this sentiment! Way to go Morula!